It was a Sunday sun-lit morning. Elated at the prospect of wishing my cousin Amy on her sixteenth birthday, I dialed up her number. As the bell rang, I remembered, she had told me a day before about her plans of painting the town red with a bunch of friends. Finally, she answered the phone and a low toned hello followed, which sounded pretty unusual to me. I wished her a happy birthday and enquired what the matter was. Amy mentioned that the day before while coming back from school, she had a burger and fries from a roadside food outlet. Since then, she was writhing in pain and had even thrown-up a number of times. Thereafter, she was taken to the hospital where the doctor diagnosed her as a case of food poisoning. It was disappointing to be unwell on a birthday. However, I wished her well and hung up the phone. It is not just Amy, but most of us drool at the mere thought of savoury roadside food. The aroma emanating from the roadside stalls, coupled with their taste, makes them a favored quick meal for the routine hunger pangs. Most of us don’t really think about hygiene while eating. At times, we start munching on whatever we can latch onto. Unwashed fruits and vegetables in a salad, non-vegetarian food that has been stored for a long time in unfavorable conditions, using unwashed or improperly washed utensils having traces of food in them etc. the list goes on. The roadside vendor that you’re buying from has no incentive for washing the vegetables or the meat/ poultry. For him, it is additional work and expenditure that has no direct returns. And if you think that they would wash their hands before they handle food, you have another think coming. So how does it matter even if they don’t adhere to standards of hygiene or even when you yourself don’t wash up before you sit to devour such food? You may not have visible dirt on your hands and that may lead you to believe that your hands are clean. Well, most of the times we do tend to get away with this, thanks to our strong immune system, but, not always! Sometimes our body gives in, and we crash under the burden of Ptomaine poisoning. Ptomaine poisoning or food poisoning is an acute gastrointestinal illness, resulting from the intake of foods containing one or more representatives of three main classes of harmful agents. The harmful agents are natural poisons present in certain plants and animals, chemical poisons, and microorganisms and their toxic secretions. Bacteria such as Salmonella, Shigella, Escherichia coli, and Staphylococcus majorly cause food poisoning. Among the chemical poisons contaminating foods, are heavy metals used in fungicides and insecticides. Instances of metal poisoning are traced to the serving or preparation of acidic foods in certain cookware causing antimony and cadmium poisoning. Though innocuous on a short term basis, various food additives and preservatives may cause a cumulative toxic effect when ingested over a long period. Salmonella remains a serious cause of food poisoning. This is attributed to its ability to thrive and quickly adapt to the varied environments in which they can multiply. Under ideal conditions, bacteria can multiply rapidly, potentially doubling every 20 minutes. Salmonella can sense the favorable conditions and builds up the material needed for its exponential growth. Even if you count only the initial, acute episode of illness, foodborne disease has an enormous public health impact. The Centers for Disease Control and Prevention estimated that U.S sees 48 million illness, 1,28,000 hospitalizations and 3,000 deaths every year from foodborne organisms. How does the food become contaminated? Pathogens can be found on almost all the foods that humans eat. However, when the food is cooked, heat from the cooking usually kills these pathogens. 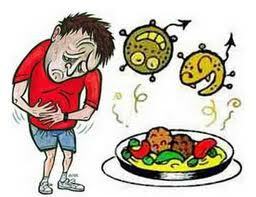 The foods that we eat raw, and the so-called fast foods, are common causes of food poisoning. Raw foods do not undergo the process of cooking. And, the foods that are served outside, if not processed under hygienic conditions can be a serious troublemaker. Junk foods are highly processed and contain artificial ingredients, typically high in fats. 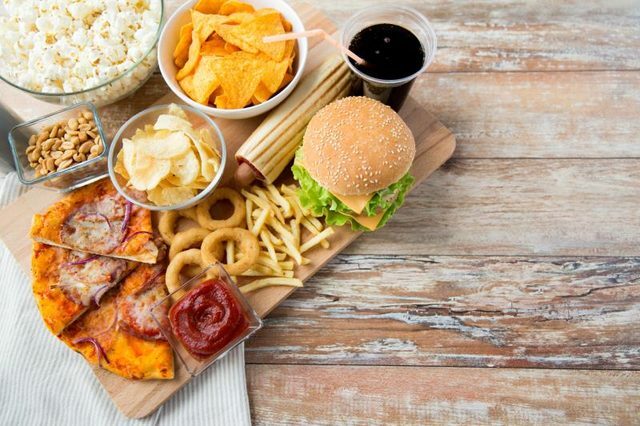 Eating too much junk food irritates the digestive system, leading to unusual and abnormal bowel movements. The complex sugars and proteins contained in junk food are hard to be broken down by our digestive system. The signs and symptoms majorly depend on the microbes or the contaminant that has caused the food poisoning. The incubation period of different microbes is different. For example, salmonella takes approximately 6 hours to attack the body after the intake of food whereas E.coli takes around 3 to 70 days to attack. The classic signs and symptoms observed include abdominal cramps, diarrhea, nausea, vomiting, high fever, less passing of urine and dehydration, accompanied by a dry mouth. One must ensure sufficient hydration, since the body rapidly loses fluids through vomiting, diarrhea etc. Drinking coconut water, fresh fruit juices becomes a necessity to boost up the energy levels. Severe case of poisoning warrant the need to culture and identify the causative agent for ensuring appropriate antibiotic therapy. As the old age adage goes, prevention is always better than cure. Implement proper washing and cooking methods in case of foods such as meat, eggs and other animal products as they tend to harbor numerous infectious agents. Certain vegetables such as cabbage, carrots, tomatoes, onions etc. must be washed thoroughly before using in salads. 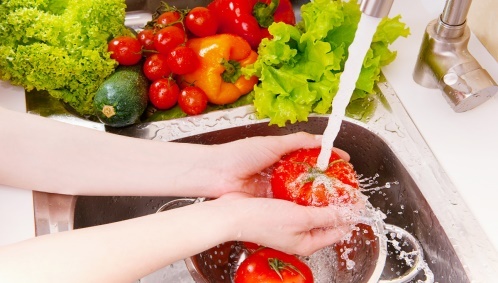 Maintaining self-hygiene such as washing hands before eating and cooking is vital. As much as possible, avoid eating out at places where you have no awareness of their hygiene standards. Storage and transportation, maintaining an optimum temperature especially for meat and poultry, is challenging and if not cared for, may result in infecting us severely. That’s right. I guess very few foodies think about the consequences of eating junk food…:) But, prevention is always better than cure; just a saying it is! Very helpful, though I don't worry much about the after effects of food poisoning, I tend to eat everything that my eyes can see! But I understand now how important it is to take care of this to avoid prolonged problems! !